Stephane Rousselet Consultant, Bain & Company Inc.
A silent revolution is arriving on our streets. Before too long, commuters will use their mobiles to summon fully autonomous robot taxis. These will collect them from home and drive them to the closest metro station, from where they can catch a train to work in the city centre. These zero-emission vehicles will be electric, powered by solar or wind generation. We believe this transformation is just around the corner. It promises to change the mobility market, and much more. Within the next five years, cities will begin to transform their transit systems, to tackle the twin challenges of congestion and climate change. By using autonomous taxis with significantly higher capacity and usage rates, and integrated with traffic optimization systems, cities could reduce the number of cars on their streets by more than 40%. In an optimistic scenario, a city like Berlin could use robot taxis to carry up to 60% of its passengers. Changes like this would bring clean, affordable and secure mobility to city residents. A more likely scenario sees autonomous vehicles making up 2% of new vehicle sales globally by 2025, rising to 8% by 2030. If the cost of self-driving cars falls faster, and cities introduce new mobility systems more quickly, autonomous vehicles could make up 30% or more of the market by 2030. Legislation will be a critical enabler in this transformation, as cities and countries make strong commitments to reduce carbon emissions. Regulations will increase pressure on internal combustion engine (ICE) vehicles, creating incentives for zero-emission cars such as battery-powered electric vehicles (EVs). Some cities will ban ICEs from their most congested districts, and could restrict these areas to shared vehicles. These regulatory changes will pave the way for greater use of electric, autonomous taxis. At the same time, automotive and technology companies are investing substantially in the software and hardware required for full automation of urban mobility (levels 4 and 5 of the Society of Automotive Engineers’ scale). Some companies are already piloting autonomous vehicles in cooperative cities. Waymo, a subsidiary of Alphabet, has logged four million self-driven miles. General Motors is also embracing the opportunity. It forecasts a substantial increase of revenue generated for GM over a car’s lifetime. Daimler’s acquisition of mytaxi, an app-based mobility company, underscores the importance of platforms in this new ecosystem. Consumer behaviour is also evolving, as younger people show less appetite to own and drive cars. Car ownership has fallen since 2000 in some countries. Urbanization is also an important factor, as commuters seek alternative and integrated means of transportation. This further favours the emergence of robot taxis. Car manufacturers are preparing for this transformation. They recognize that it will shift some of the profit pool from manufacturing to technologies and services, including batteries, mobility services, and software that drives cars and manages mobility networks. 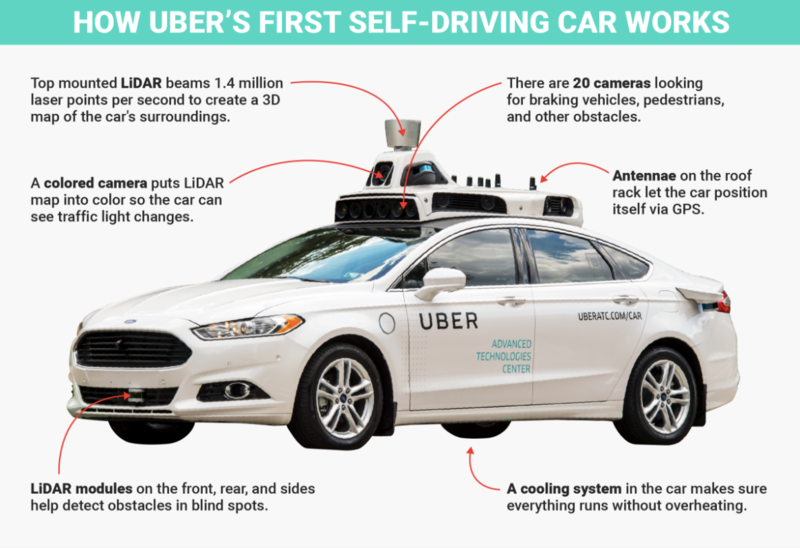 As they expand their businesses to become mobility service providers, car companies will manage and maintain large fleets of robot taxis. Electricity suppliers will see fleets of electric vehicles as another decentralized and digitalized energy resource, capable of providing flexible power that can flatten demand peaks and reduce infrastructure investments. These companies will also play an important role in supplying ultrafast charging stations and managing the energy of buildings and microgrids connected to EV fleets. Finally, technology companies such as Uber, Lyft and Didi have accepted heavy losses to position themselves at the front of mobility services, as either platform owners or robot taxi fleet operators. They will continue to compete to gain market share. Although the direction of change seems clear, the pace is less certain. More players are likely to enter the market as opportunities arise. Winners are likely to be those who move quickly, form essential partnerships and position themselves at the high-margin parts of the value chain. Those that can provide integrated solutions are likely to gain a competitive edge. Utilities and other companies in the energy sector will also play a central role, supplying the power to this electrified mobility system, leveraging EVs as decentralized energy resources, and integrating EVs and charging stations into smart energy networks. Ultimately, cities will control and regulate urban mobility. Working with mobility providers, automotive companies and the energy sector, they will make the policies and decisions that will catalyze this transformation and provide clean, affordable and secure mobility to their urban populations. Stephane Rousselet, Consultant, Bain & Company Inc.